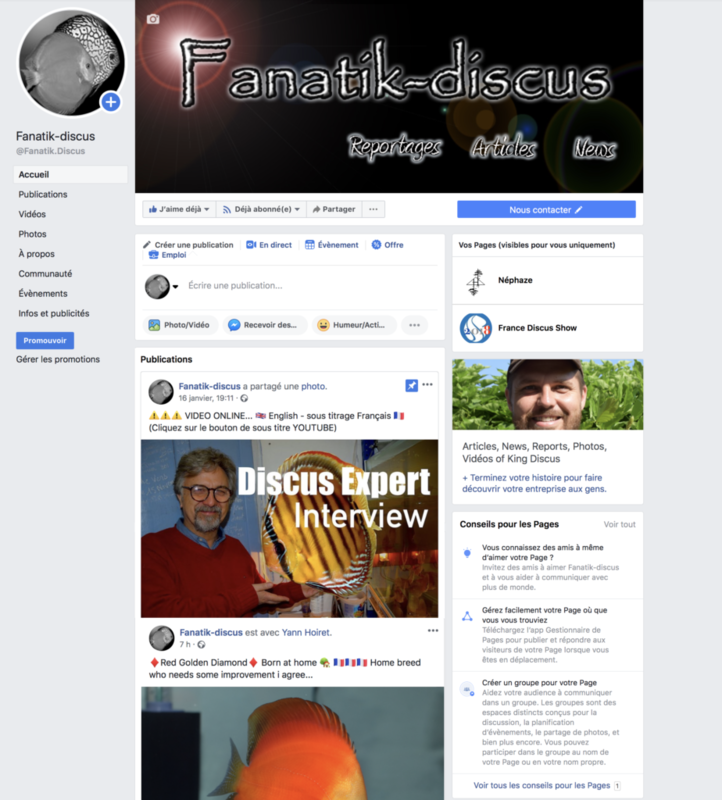 The Fanatik-Discus page is present on Facebook for some years. With more than 6200 subscribers I am glad for your fidelity. Although, you are more and more numerous to follow what I share with you, and site news. I thank you again… Despite all, I think that i should not rest on my laurels!!! 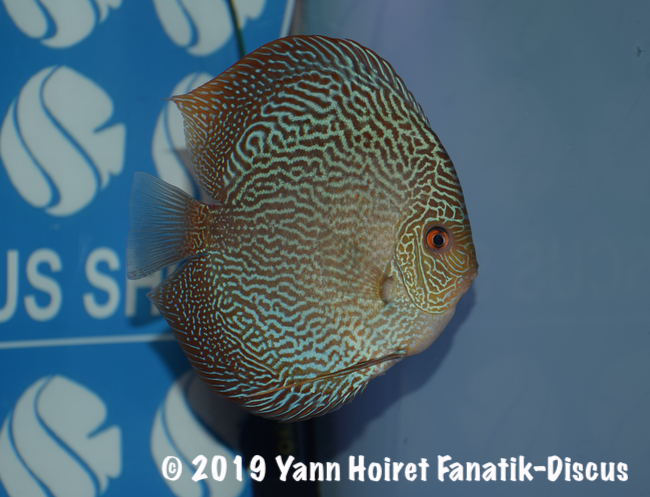 Our society increasingly connected and your interest for this site led me to offer you several ways to stay informed of the discus news..
You are still numerous to discover that Fanatik-Discus offer to subscribe to the newsletter. For this, simply enter your email address and confirm your registration. 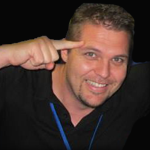 This is the easiest way to receive directly in your mailbox all the articles I publish. The link in the email send you directly to the new Article… Easy! Since a few weeks, you can subscribe to my Instagram. 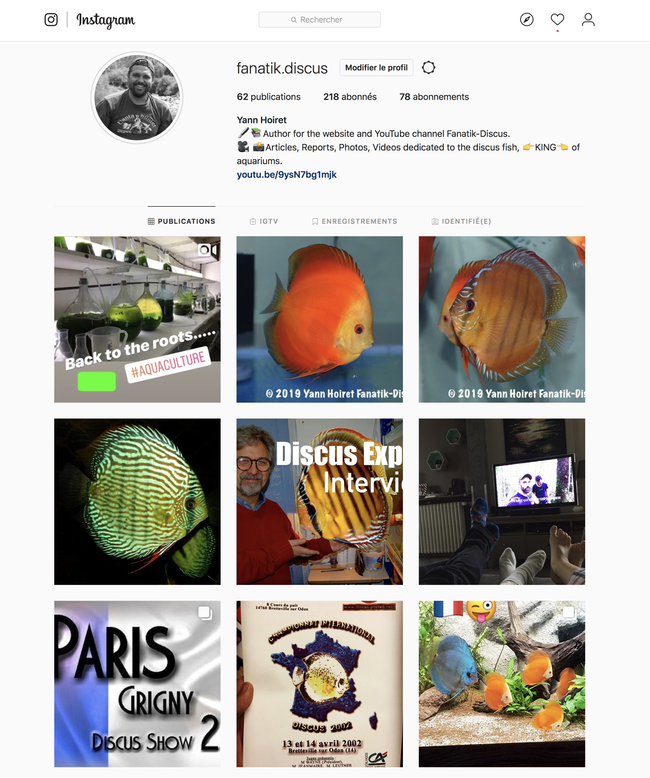 The #Discus on instagram now contain my publications. My YouTube channel was not so active… I admit it. Work video reports require lot's of time. 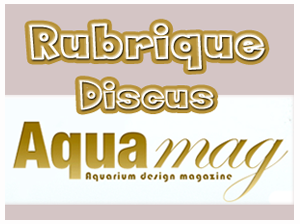 But like the #discus on Instagram, This media provides a great addition to the site! 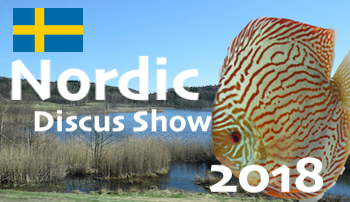 The video interview dedicated to my hobbyist discus breeding (+30 000 views), the report dedicated to Dennerle aquarium plants (+19 000 views) and others (Even more modest) were a great source of exchange. It motivated me to continue to shoot some videos. I do not intend to publish a large number of videos, but rather try to offer original subjects goshawks discus. They will also aim to document a little better my written articles. I hope you enjoy! I invite you as well to swell the number of the chain subscribers who are currently over 600 Members. To do this connect you with your YouTube account, subscribe to the channel and do not forget to check the small bell (!). You will receive by email all the new videos. Known to many of you, it was since a long time my primary communication channel. It continues to be for many reasons. Historical place for the site, you are over 6000 members and that number continues to grow weeks after weeks. This media allows me to share large photo albums of my trips. You find more pictures than the selections I present here. The ranking of my pictures with theme albums is also a big plus. You have the opportunity to comment, post your questions, like or share that content with friends! So if you too, using Facebook; LIKE the website page and continue to share its content! You will understand it, all these available means of communication are there to best meet your expectations. 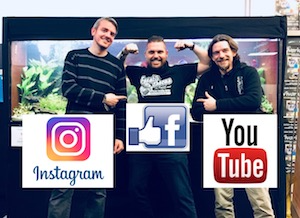 That you are rather "YouTube", #Discus on Instagram, Facebook (Or even Pinterest although!!!) you will find I am sure the channel that suits you best. 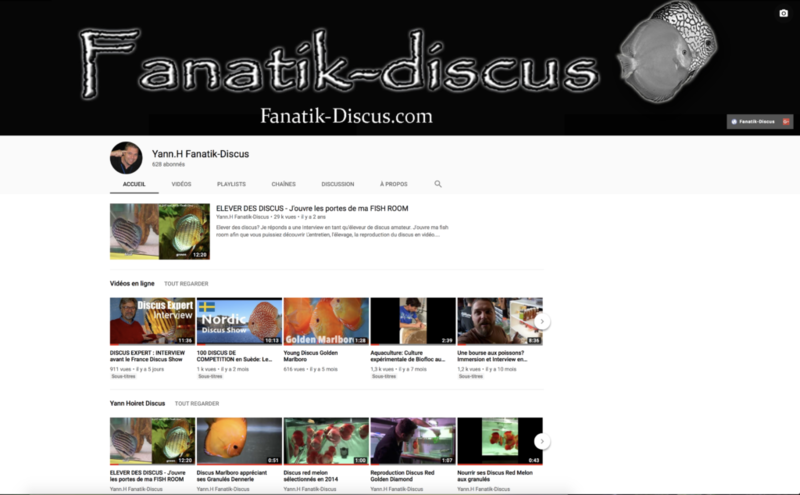 To support the development of our hobby and the Fanatik-Discus website; subscribe, comment, like, and share its contents. Your sympathy messages are always very motivating. so, see you soon!